Twenty-two time Grand Slam Champion Todd Woodbridge joined Asian Tennis Federation President & All India Tennis Association Life President Anil Kumar Khanna to officially launch the Australian Open in India for the first time. The launch is a part of a long-term commitment to build engagement with India and the subcontinent. With the support of the Victorian and Australian Government along with key partners in the region, Tennis Australia has bought the Australian Open International Ballkids Program, presented by Kia Motors, to India in 2018. Close to 1,000 young Indians will have the opportunity to become one of 10 kids selected to represent India at Australian Open 2019. 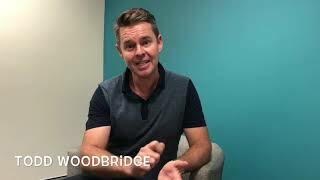 The program kicked off on 28 September, where young people in the program got an opportunity to meet Australian tennis legend Todd Woodbridge and be photographed with Australian Open trophies. They will now work their way through a number of assessments to reach a ‘Final 200 Trial’ Event where 10 kids will be selected to take part in an intense two-day ‘Ballkid training course’ in preparation for Australian Open. The 10 selected kids will travel to Australia in January 2019 to take part in the Australian Open International Ballkids Program. The Governor of Victoria, the Hon. Linda Dessau AC and Australia’s Deputy High Commissioner to India Rod Hilton also joined the launch event at the R. K Khanna Tennis Complex in New Delhi.